So beautiful, so innocent. Georgous pictures, Cindy! How kind of you. Thank you & lovely to meet you! A guy’s gotta eat, right? Or so I tell myself when they eat my flowers and vegetables! 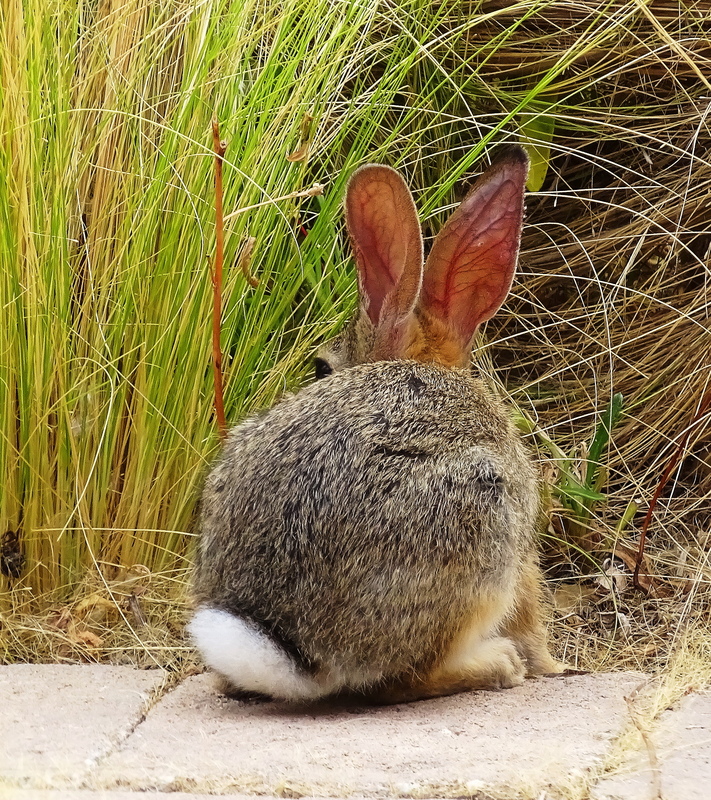 Laughing…….Put up an owl box and the bunnies will move to more friendly gardens! The little one didn’t move much because gnawing on that blade was the focus. tolle Bilder, liebe Cindy, möge es dir gut gehen. Vielen Sie Dank und Prost auf dich mein lieber Freund! The 🐇🐇, and I, ❤ you to! Loved this post. Our old farm had wild bunnies. Adorable! The bunny ears are fit for an anatomy textbook. 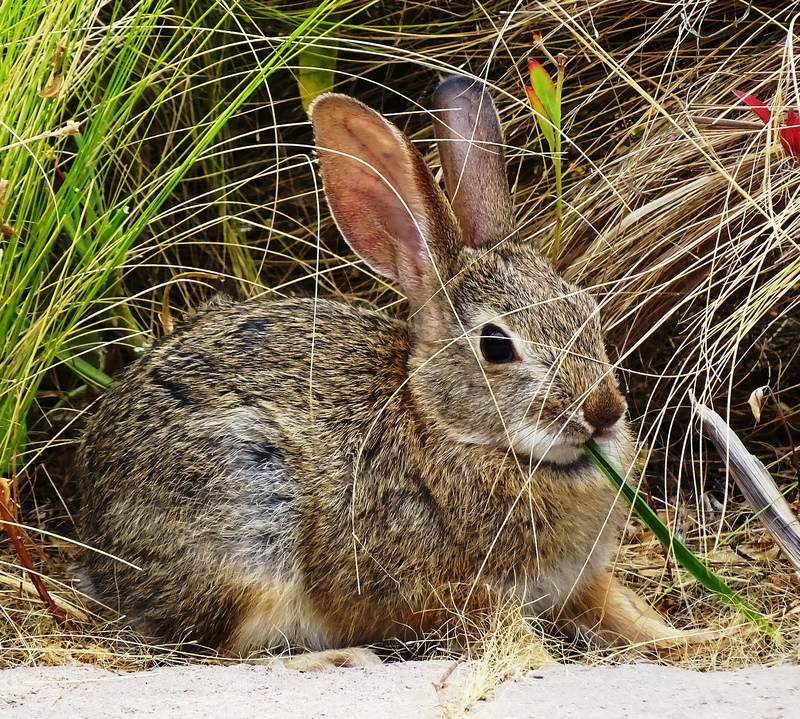 They are pretty remarkable, they allow the bunny to survive in a harsh desert environment. He has a built in cooling system. Hope some of the babies survive. Beautiful as ever photos. It is wonderful to hear from you and hope all is well with you! Some bunnies always do survive. 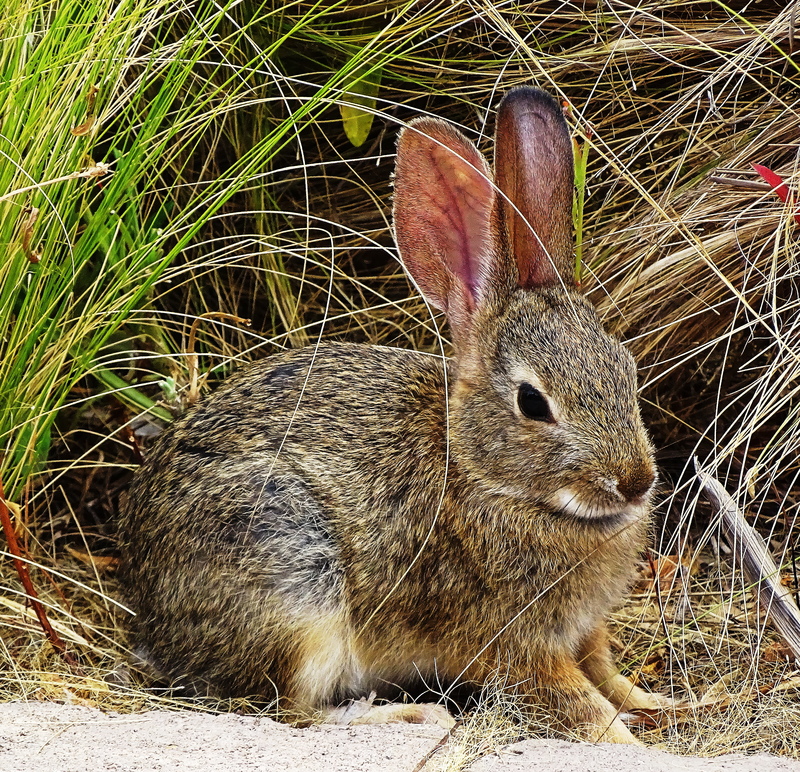 Bunnies have remarkable reproduction efficiency. I know we had two pet rabbits once! Good to catch up with you too at your wonderful nature retreat! Bunnies are just so sweet, what adorable pictures! Thanks my friend. They are incredibly photogenic aren’t they! Adorable! 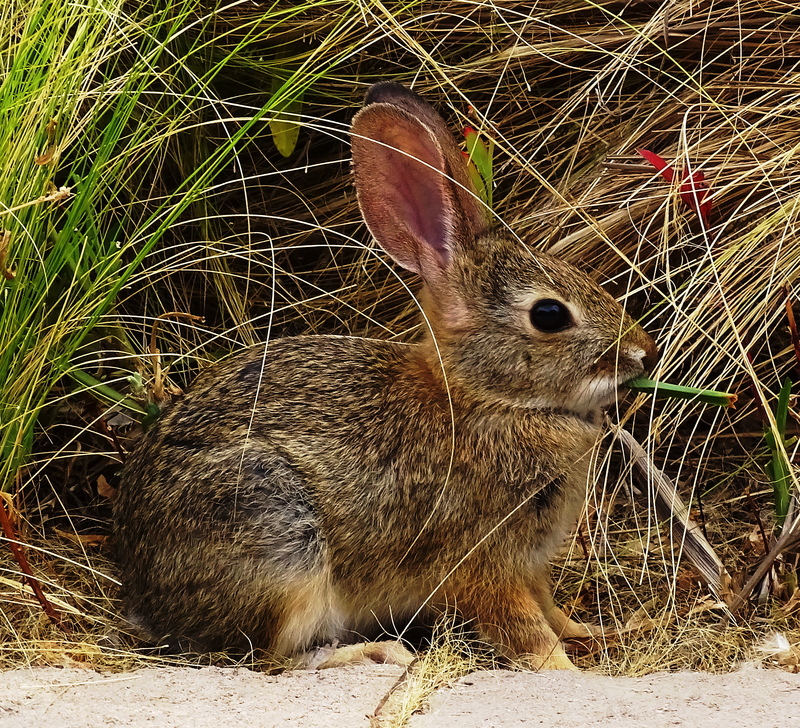 Baby bunnies running like fleas through my backyard. I keep telling them to shoo and get cover–hawk has been hunting . . . I’m a bleeding heart for these furry little guys. Frohsinn und Gesundheit wünsche ich dir. Gesundheit und Glück für dich, lieber Freund! Let’s hope they can remain safe with each other for a while yet! Oh my, it surely is a happening place. Hope the free range cattle aren’t suffering from indigestion though I expect your neighbour will wish they are, to teach them a lesson. so cute!I would like to stroke ! They feel just like a kitty-kat! No doubt he is safer there than he would be here… x Lapin is a very popular dish here. 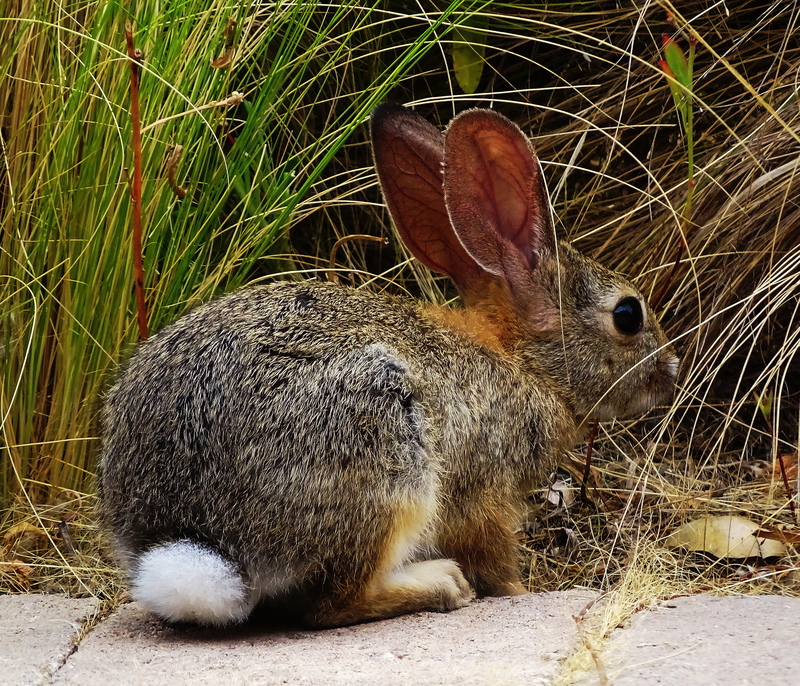 Cindy Knoke provides the aaahhh moment today with this beautiful baby bunny in the Holler… Apparently he and the owlet are just eyeing each other up at the moment.. long my that last…. as always superb photography. They are both still here and doing well. Owl junior doesn’t seem to be much of a hunter, but then neither does Herbert the cat who catches flies with his paws, and lets them go, sorta like catch and release, with no injury. Critters are nice at The Holler. And you are a wonderful friend. Thank you Sally & cheers to you! Yes. The nature and wild creatures we live amongst have to the power to teach us and to heal and to make us feel a part of them, which, when you stop and think of about, it nothing short of wonderful. Thank you for making the connection. Awww I always wanted a tiny dwarf bunny rabbit as a pet. Glad you enjoyed him & cheers to you! OMG. ❤ Cuteness overload, what a sweetie! Oh, bunny! Stay safe! So cute and cuddly! He seems to be evading the owlet quite adroitly!